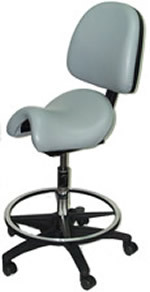 The Bambach Saddle Seat is more anatomically contoured than other saddle seats. Deeply sculpted front pommel and rear cantel stabilize your pelvis in an upright orientation for healthy spinal posture. The down-side of the anatomical contour is that it either fits you like a glove (comfortable) or it doesn't (uncomfortable). If it fits you, we recommend it. 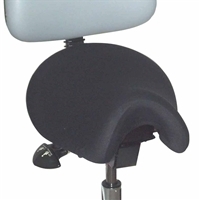 The contoured backrest is optional and usually not needed by able-bodied people, since the saddle supports an upright posture naturally without a backrest. 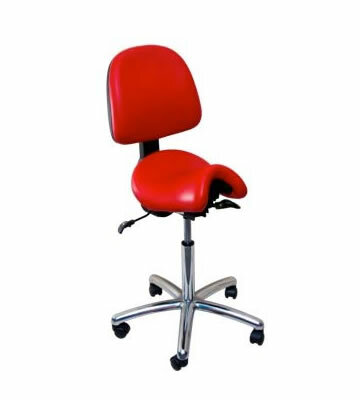 We recommend the backrest for people who become easily fatigued, who have poor balance, are very weak, or who work for prolonged periods in static postures (e.g., a microsurgeon). 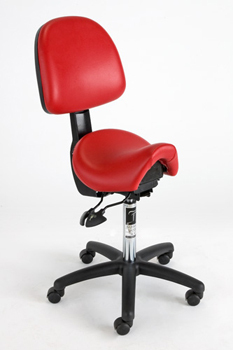 One of our employees was having comfort issues with our current chairs and was familiar with the Bambach Saddle Chair. 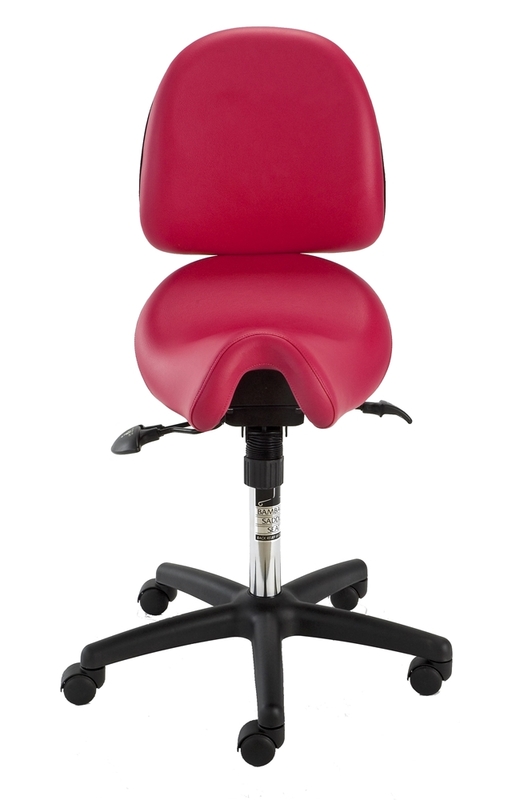 I had the opportunity to test it out for a few days and was pleasantly surprised at the comfort, especially after sitting for several hours at a time. I highly recommend giving it a try! Intermediate 4'4" to 5'8" 21.5"-28.5"
Exceptions: People with abnormal hip joint anatomy, fracture, surgery, or joint replacement may need a narrower or smaller saddle than recommended.